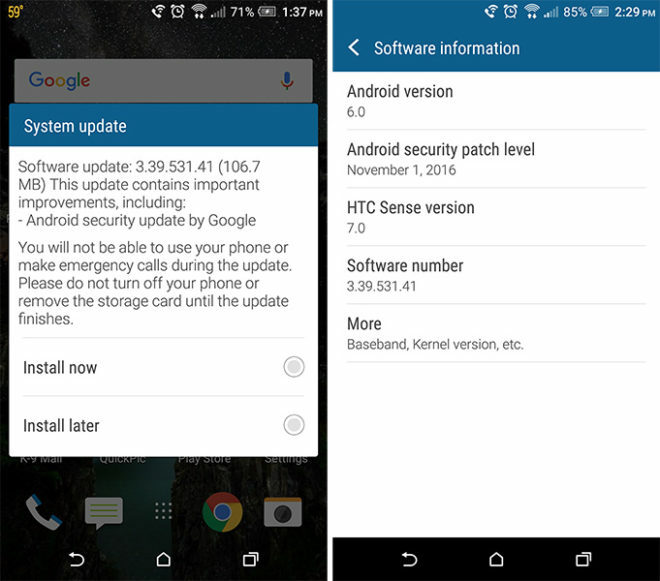 HTC One M9 owners, another security update is coming your way. 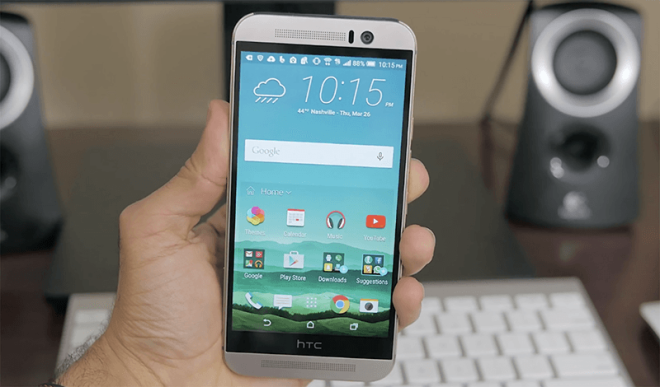 TmoNews reader Kevin reached out today to say that his HTC One M9 received its November security update. The update is software version 3.39.531.41 and weighs in at 106.7MB. After updating, the One M9 will be on the November 1, 2016 Android security patch level. It’s unclear if the HTC 10 is receiving this update, too, as T-Mobile hasn’t updated its support pages for either the HTC 10 or HTC One M9. Considering that the HTC 10 got a security update last month just like the HTC One M9 did, though, it’s certainly possible that the HTC 10 is receiving a security update, too. If you’ve got an HTC One M9 to update or you have an HTC 10 and you want to see if your phone is getting an update, too, you can check for an update by going into Settings > About > Software update > Check Now on your device.